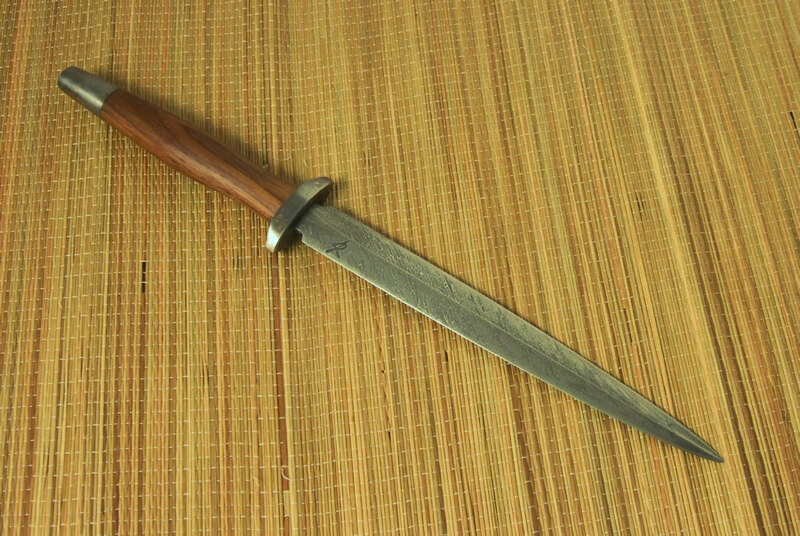 This knife was forged from a 1 inch diameter piece of extra improved plow steel cable. 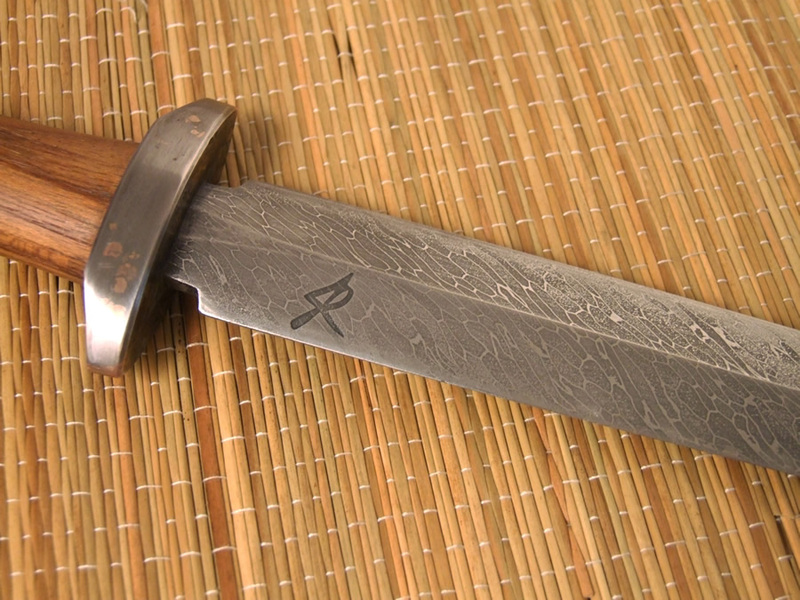 The 205 individual strands were forge welded together into a single piece and then shaped into the blade. 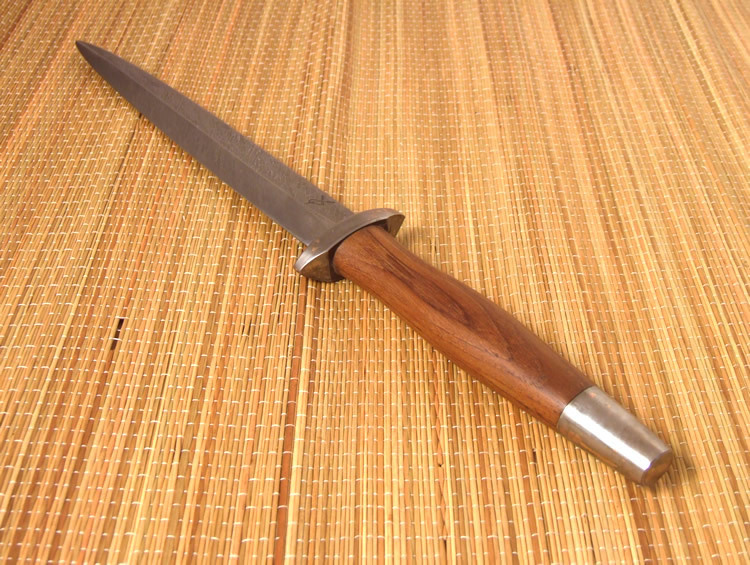 The grip is reclaimed hardwood with hidden pins and the bolsters are mild steel with bronze flecks. 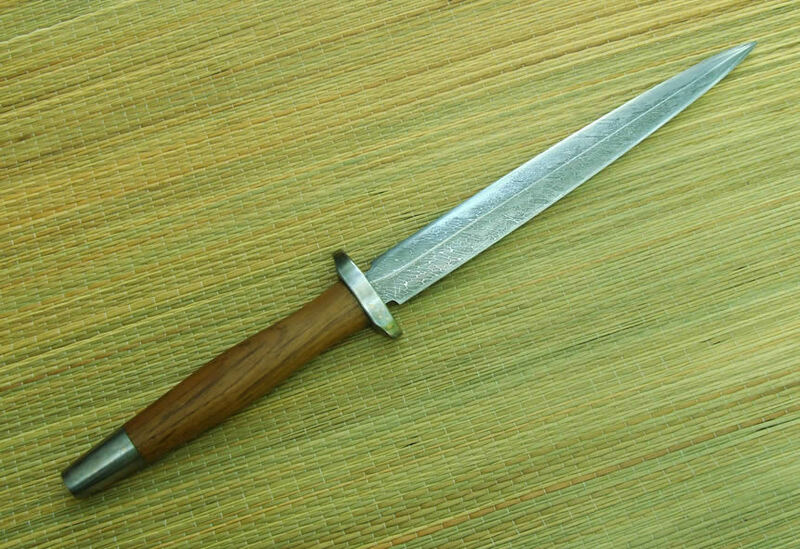 This dagger no longer available, a similar piece could be commissioned..